I’m back from holiday, recovering from jet lag, and coming down with (hopefully just) a cold, but I really didn’t want to try rolling two episodes and a season review into this Sunday’s post, so I managed to squeak out some belated commentary during a slow work day. Apologies if it’s not my most polished work. orange shuffles timelines a bunch this week, giving us the original past timeline from Kakeru’s perspective before shifting us back into our usual original-future and current-past timelines. 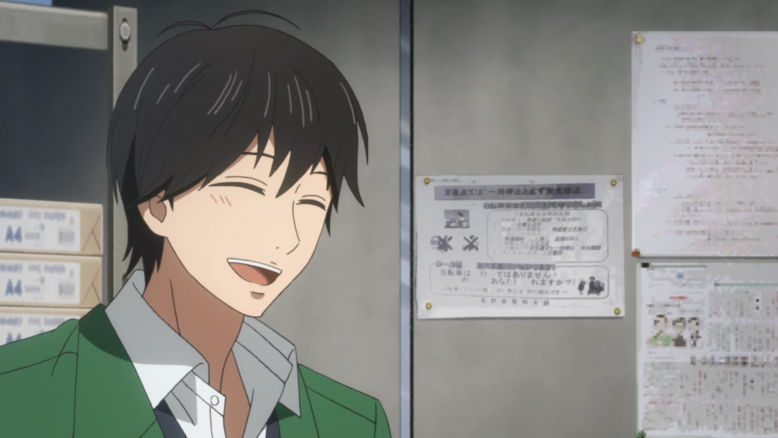 As you’d expect, the world through Kakeru’s eyes is a heartbreaking one, a sequence of triggers that build on one another to send him deeper into depression. 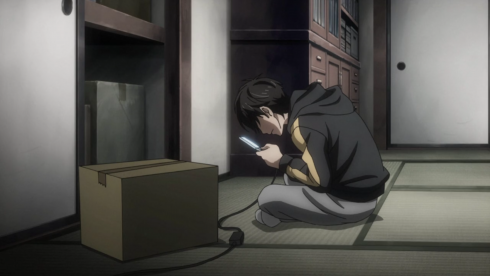 A final text to his mother where he snaps at her for “bothering” him; an attempt to reach out to his old friends that only isolates him more; a frustration that no one can understand him, which leads to him snapping at both his grandma and Naho and then feeling bad about it, sending him into a guilt spiral; and finally the discovery of his mom’s last, unsent text message, all but confirming his belief that he “killed her,” which ends in his unplanned suicide. It’s achingly honest and really hard to watch. orange is very much a show about communication, something I’ve been repeating like a broken record for weeks now, but Episodes 10 and 11 take a look at that theme from a new angle. 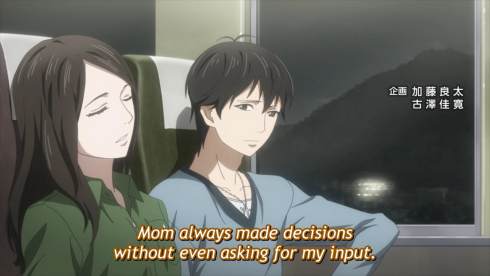 Yes, it’s important for both Kakeru and his mother (and Naho and everyone else) to break the silence and talk about their feelings so that others can understand (and maybe help) them, but communication is a two-way street, and it’s just as important that, when someone reaches out to us, we take the time to truly listen. 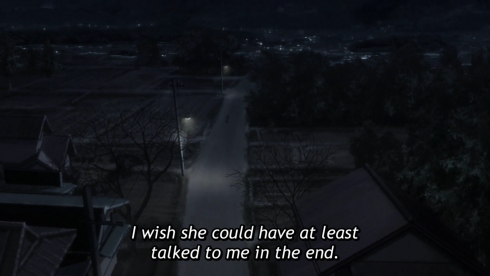 Kakeru’s two major isolating moments come because he tries to open up and the other person shuts him down. His friends brush off his cry for help as a joke. Naho pushes her own feelings (in both timelines) onto him instead of paying attention to what he’s telling her he needs. Unintentional or not, they make him feel like his feelings don’t count. And if his feelings don’t matter, then what about his life? Does that not matter, too? 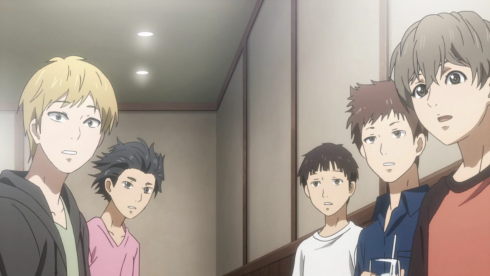 The other difficult point this episode makes is that, for all that the gang blames themselves for not being able to prevent Kakeru’s suicide, there’s little they could have done to save him short of being perfect, empathetic mind-readers. 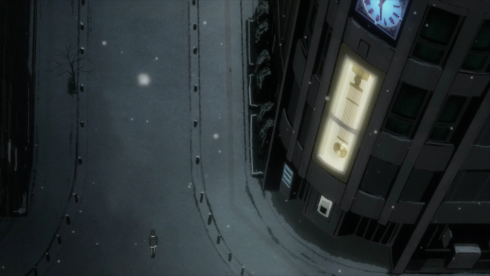 Both of Kakeru’s suicide attempts are triggered by events unrelated to Naho and the gang. Even in our current timeline, when they know what’s happening and are actively trying to help him, there’s only so much they can do. At a certain point, they can’t understand what he’s going through, and to pretend they can only makes him feel more isolated. 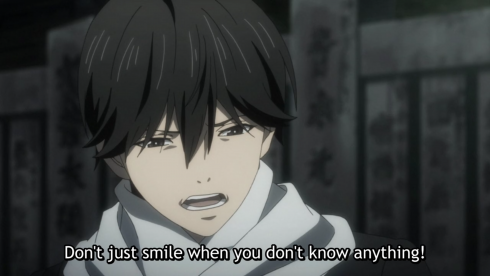 As Kakeru says, it’s easy to say “keep living” when you’re not in daily, constant pain. 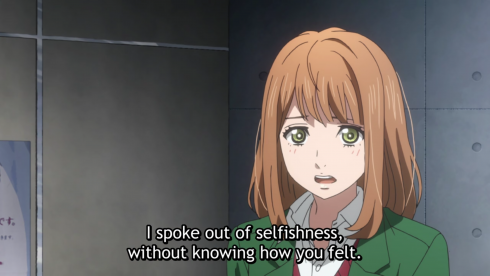 Kakeru distances himself from Naho in both timelines, and while Naho is right to address it directly and apologize, it can’t fix everything because it’s not just about that. 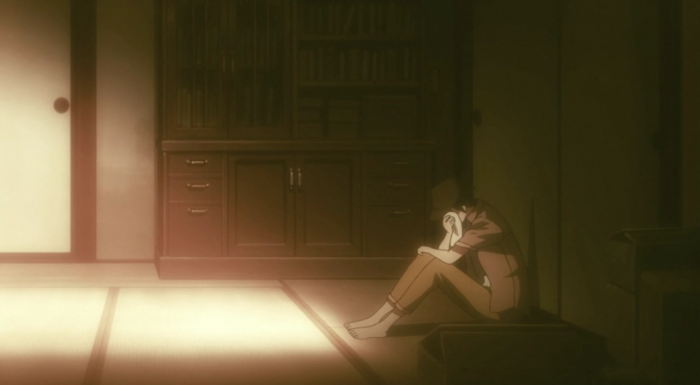 Kakeru, like many people with depression, worries constantly about hurting others. So when he yells at her–when he “hurts” her–he convinces himself that his fears were justified: that he’s toxic to her, and that the best thing to do is to remove himself from her life. 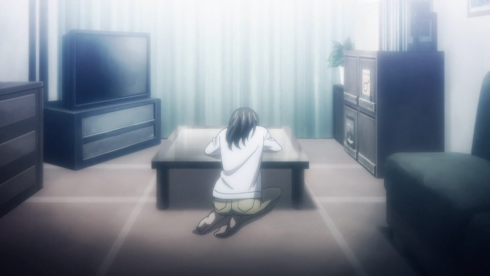 Naho’s helplessness this week is maddening but all too real. She can keep reaching out to him, can refuse to give up on him, but if Kakeru chooses to shut her out, there’s nothing she can do. I don’t think there are any “bad guys” here (although the insensitivity of Kakeru’s Tokyo friends comes mighty close), which is what makes this story all the more painful. Kakeru’s mom keeps trying to protect her son, but she never tells him that, so he thinks she’s selfish and resents her for it. 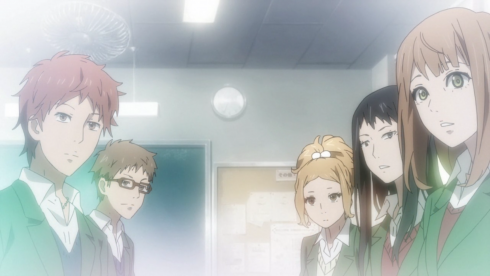 Naho wants to help Kakeru, but she’s so wrapped up in her own fears that she doesn’t really listen to his. Kakeru tries to express his guilt, gets upsets when it doesn’t seem like others understand him, lashes out, and then feels guiltier for it, further confirming his belief that he’s a terrible person who hurts others. These are all decent people struggling with their pain or another’s (or both) who sometimes make mistakes. Maybe the real tragedy of orange is that they won’t forgive themselves for it. I teared up like crazy when I read this part of the manga. Managed to keep it together during the “rewatch,” although those swells of music sure didn’t make it easy. 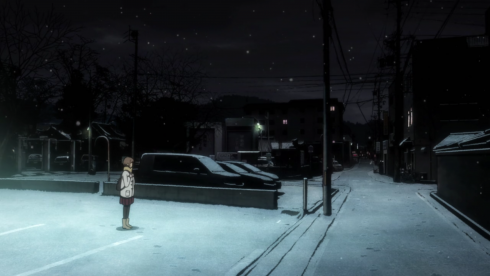 orange continues to do a remarkable job of showing the damaging effects of suicide without vilifying anyone for it. Kakeru and his mom genuinely believe the people around them would be better off without them–that their deaths will either “not matter” or actively benefit others. orange‘s ability to sympathize with everyone is one of its great strengths, and part of why I think it’s resonated so deeply both with people who’ve considered suicide and those who’ve been affected by it. The Bermuda Triangle Black Hole “miracle” is, er, a bit of a stretch. I have some thoughts and theories about that, but I think they may work better in a standalone essay. I’ll see if I can work that into my upcoming writing schedule.